The Delhi Subordinate Staff Selection Board is getting ready to roll out the vacancies for the post of Trained Graduate Teachers in the government schools of Delhi. The Trained Graduate Teachers (TGT) are entitled to take classed in secondary classes and their prime objective lie with providing class education to the students. The aspirants should note that they are a valuable part of the society and hence their contribution towards its development is most. 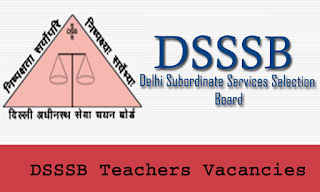 For DSSSB examination to crack, the candidates must have firm command over the syllabus of the examination. in the following article about DSSSB Syllabus Arithmetical for TGT , we have compiled the much important syllabus for Arithmetical and Numerical Ability. Check out the complete syllabus as well as the exam pattern and the preparation tips for the same. Questions in this section are aimed at testing knowledge of the candidates in questions related to quantity and numbers. The Questions will be designed to test the ability of the candidates for appropriate use of number and think in the numerical sense. The range of questions will be from the computation of whole numbers, decimals, fractions, relationship, between the numbers, percentage, ratio and proportion, square roots, average, interest, profit and loss, discounts, partnership, mixtures and allegation etc. Candidates should be well versed with the application of basic mathematics formula and other concepts. The Questions in this section will be designed to check the same. All the candidates should focus on learning the shortcut tricks to solve the questions to save time and effort and also solve maximum questions in the given time limit in the test booklet.